For me, there is something magical about spending the summer at a cottage on a lake. I spent my summers in Kingsville Ontario until I was thirteen. Kingsville is the southern most incorporated city in Canada. It sits on the northern edge of Lake Erie, fifty miles southeast of Detroit. In Michigan, where I grew up, there are eleven thousand lakes and a million registered boats. The Canadian province of Ontario shares a border with Michigan and five other US states, the Hudson Bay, and the Great Lakes. Ontario is the home to 250,000 lakes. In the 1930s, my grandfather, Arthur Lubeck, moved his wife Nell, and their son Robert from Chicago to Detroit. 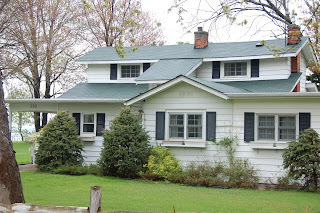 Like many wealthy Detroit businessmen, my grandfather bought a home in Grosse Pointe and a summer cottage across the border in Kingsville, Ontario. 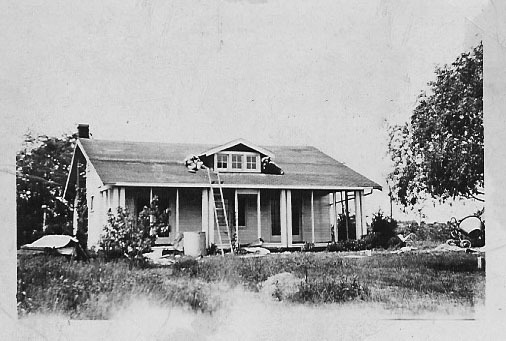 The cottage cost twenty thousand dollars in 1936. Kingsville was known for boating and fishing. Yellow-bellied Perch, Walleyes, and Whitefish could be caught off any pier. It was also known for algae blooms and pollution from Michigan factories. Away from the lake, Kingsville becomes a small farming community growing strawberries, raspberries, wax beans, lettuce, and corn. Golden, sweet, plump corn sold hot and buttered at a dozen roadside stands. Our trips to Kingsville began at the Detroit to Windsor Tunnel. The tunnel opened in 1930. It passes under the Detroit River between Detroit and Windsor; Michigan and Ontario, the US and Canada. The tunnel is 5,160 feet long with 2,200 feet under the river. On busy weekends, the trip under the river could take an hour. South of Windsor, at the mouth of the Detroit River, you pass Bobo, Detroit’s Coney Island. Boblo was an amusement park built in 1898. Boblo had its own ferry boats, and attractions like the Nightmare, Falling Star, and the Wild Mouse. In addition, it had the areas tallest Ferris wheel, a zoo, a carousel, and Scott boats; bumper cars made to look like boats. Henry Ford financed a dance hall with a capacity for 5,000 waltzing and jitter-bugging dancers. Our cottage was located on a bluff above Lake Erie and just west of the village. The cottage offered relief from the heat and humidity that plagues the Midwest in July. 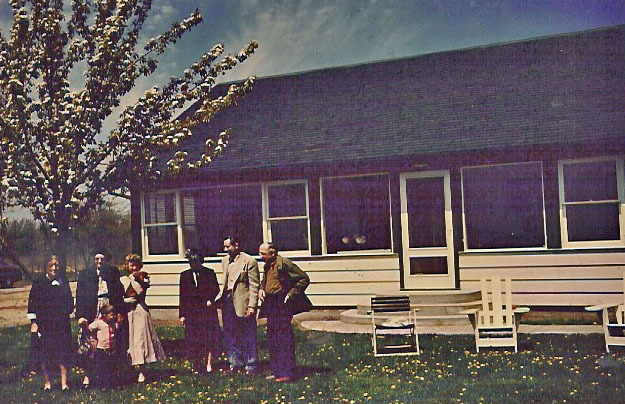 My grandparents spent their weekends in Kingsville throughout the thirties and forties. The cottage became a sanctuary. 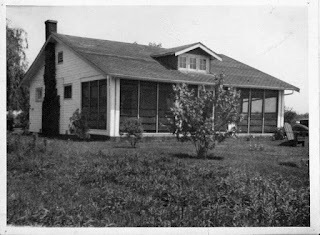 Arthur and Nell and their best friend and neighbor Earl Hudson would sit under the shade of a willow and sip old fashions and eat cucumber and watercress sandwiches. The cottage was a three-season, two-story, Cape-Cod style home with three bedrooms, a large country kitchen, a screened-in front porch, a single toilet with septic tank that never worked, and an oil burring stove for heat. 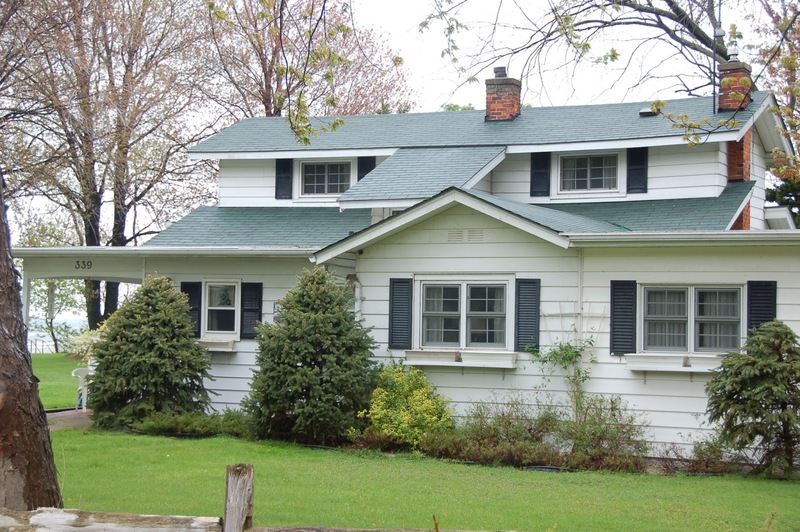 The main house sat back from a lake front road on a large lot with 100 feet of lakefront. The house had six rooms of wicker furniture with overstuffed cushions and pillows all with bright formal prints. Pictures of boats and maps of Lake Erie with shipwrecks marked in red decorated the walls. In the front yard a croquet course and a badminton net provided for exercise while wooden Adirondack chairs, and groups of metal chairs and tables strategically placed under each willow, offered rest and shelter from the heat. Behind the house was a two-seat outhouse that also served as a tool shed. Even when not in use, the outhouse attracted flies and where there are flies there are spiders. Spiders of every size and color including Daddy longlegs, Black Widow, and the Brown Recluse. Going to the shed was an experience that we all tried to avoid. There was dirt road in front of our cottage. The beach was some thirty feet below the road. Each house on the bluff had a stair and a pier or dock. Our stairs were in such bad repair, we used the neighbors’ stair. Our spit of beach was rocky and smelled of dead fish and sea weed. Our strip of beach was unusual in that it had a sand bar about a quarter of a mile from the beach. The water in between the beach and the sand bar recycled slowly and never got more than five or six feet deep. In between the beach and the sand bar was a weed filled half mile of water with a muddy silt bottom. An oily muck that one walked in carefully for fear of broken whiskey bottles dumped into the lake during a winter of ice fishing. The sand bar was actually a series of bars that ran the length of our beach, perhaps for a mile. The sand was a fine gained and caramel in color. Beyond the sand bars was an ideal stretch of clear deep water with a white sand bottom. For me, the only problem for us was how to get to the sand bar. As kids, we would put on a pair of tennis shoes and walk out though the weeds until the water and weeds were at our chins. Then we would mount a yellow rubber raft, the kind you see in pools, and paddle the rest of the way to the sand bar. For my father, who was not a good swimmer and therefore not a water person, the trip to the sand bar was a frightening experience even later when we used a row boat. I loved my cottage years. There were kids of every age to hang with. Our days were filled with swimming, boating, water skiing, and group walks to the penny candy store. The nights and rainy days were crowded with monopoly, cards, and endless games of scratch-pad battleship. As the summers progressed, teen dance parties and going to the movies occupied our nights. My summers in Kingsville turned me into a water person, a beach person, a cottage person. 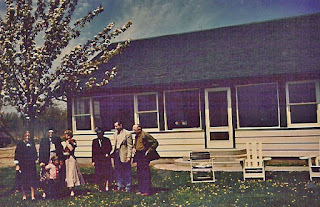 Unfortunately, we sold the cottage in 1965. Had we kept the cottage, I am sure I would there right now.